As the luxury brand for General Motors, Cadillac vehicles are in a class above the rest. Using cutting-edge technology, the most elegant of designs, and the most powerful engines, it’s no wonder Cadillac vehicles have maintained such an elevated status over the years. Your Cadillac requires just basic maintenance and an occasional repair to keep it operating at its best, which we can do for you! Wright’s Automotive Service has been your trusted choice for Cadillac repairs in San Leandro since 1977. Our honest, caring team always shows our customers why we are the best in customer service while your Cadillac repairs are conducted with precision and integrity. The technicians at Wright’s Automotive Service stay on top of the latest repair trends and techniques on all models with ongoing training. They are ASE-Certified and thoroughly experienced in all makes including Cadillac, and use leading-edge technology to accurately perform your Cadillac repairs right the first time. 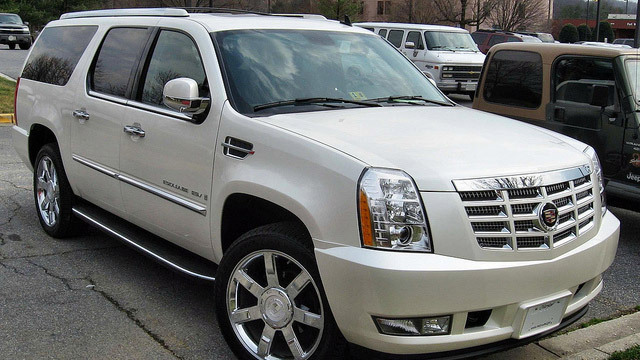 Whether your Escalade air suspension needs attention, your CTS has engine trouble, or your SRX Check Engine Light needs to be diagnosed, we have the tools and equipment to take care of it swiftly and efficiently. Because we know you need your Cadillac to operate dependably for the long haul, we always use original equipment or high-quality aftermarket parts for Cadillac repairs at Wright’s Automotive Service. For knowledgeable Cadillac repairs in San Leandro, visit Wright’s Automotive Service – your first choice for quality and convenience. Give us a call or use our convenient online appointment form to schedule your visit today!